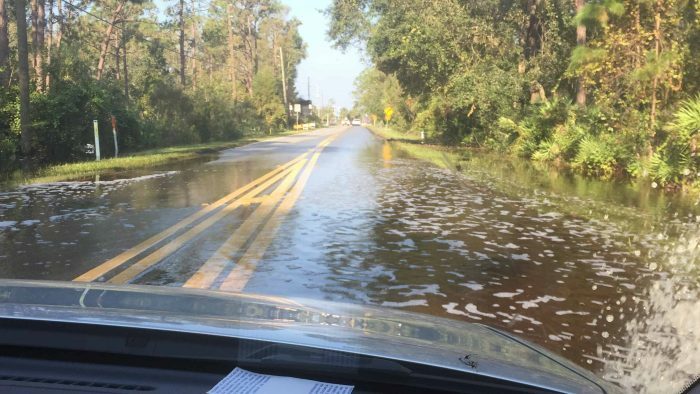 To give you an idea of some of the ways that things aren’t yet back to normal in this area, aside from many people (including hard-working Cast Members) who still don’t have electricity more than a week after the storm rolled through, some supplies are still hard to find. This is from late last week–finding a gallon of milk meant calling to a half dozen stores to track one down. Along the back side of Walt Disney World property, behind the Magic Kingdom, there’s a huge parking lot for Cast Members. 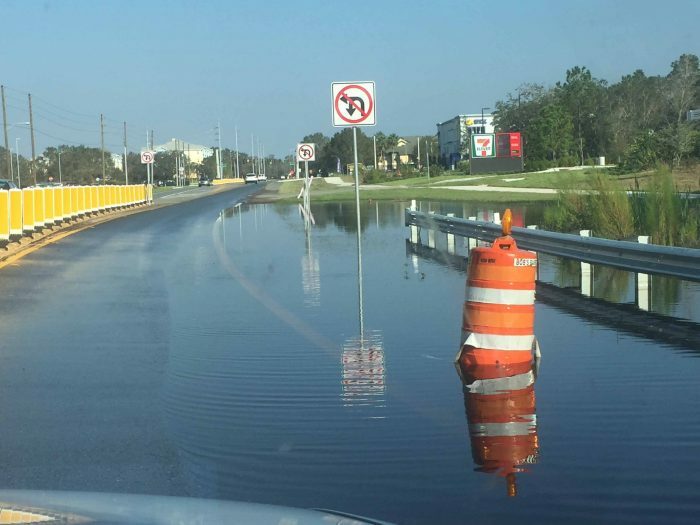 The road that runs alongside the parking area still has significant standing water for about 1/8 mile–these are from one week after Irma (and yes, the water is deep enough on the edges to splash it over the hood of a car). And all around property, there’s still trees down, as well as staging areas, like this one at the Polynesian, where debris from those trees is being collected. 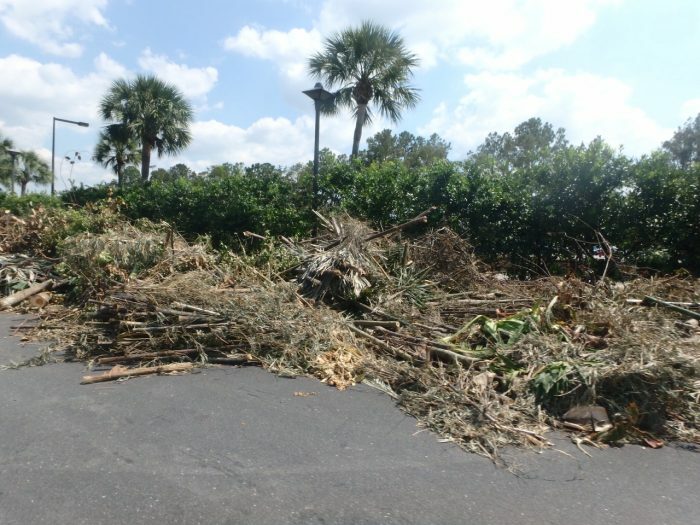 Disney has their own places to move debris, but for Orange County, most debris drop-off locations are already full. We’ve been told to expect to have piles of trees and tree branches along the curb in our neighborhood for weeks or more. 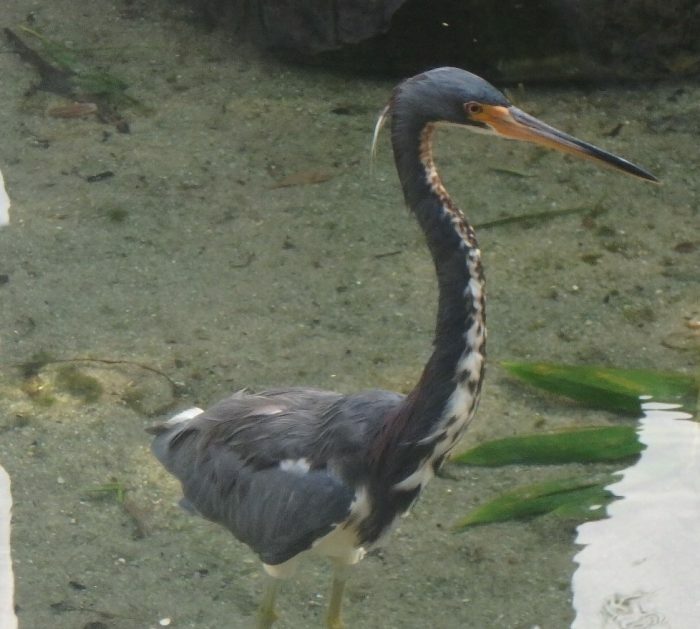 Remembering the pictures after Hurricane Andrew ripped apart my beloved Metrozoo (now called ZooMiami), I knew that out of the parks at Walt Disney World, the one that likely took the most damage would be Animal Kingdom. 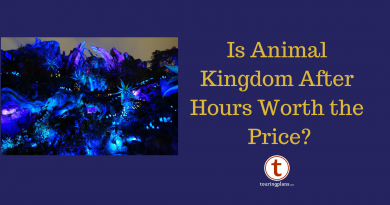 As it is our family’s overall favorite park at this point, once we had everything squared away at home, we knew that’s where we wanted to go to try and get from business as usual to back to normal. We arrived fairly early in the morning, and I wasn’t surprised by the number of people coming in (thanks to the Pandora effect), but was surprised at how many people were in the ticket lines. Yipes! 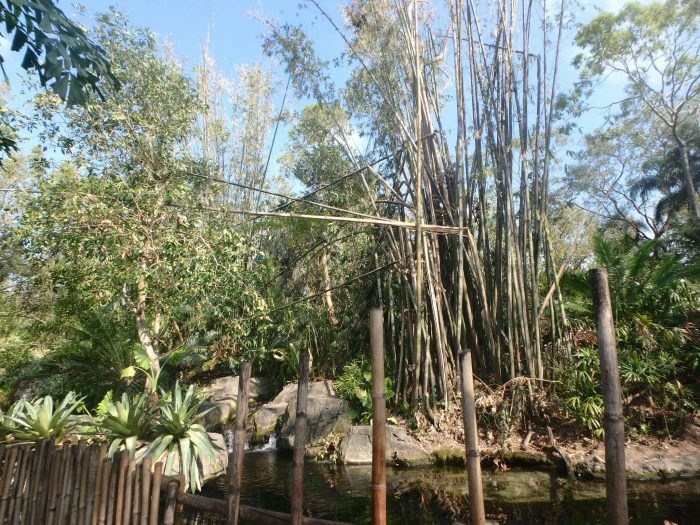 Inside the park, most of the people were heading for Pandora. We just wanted to see the animals. 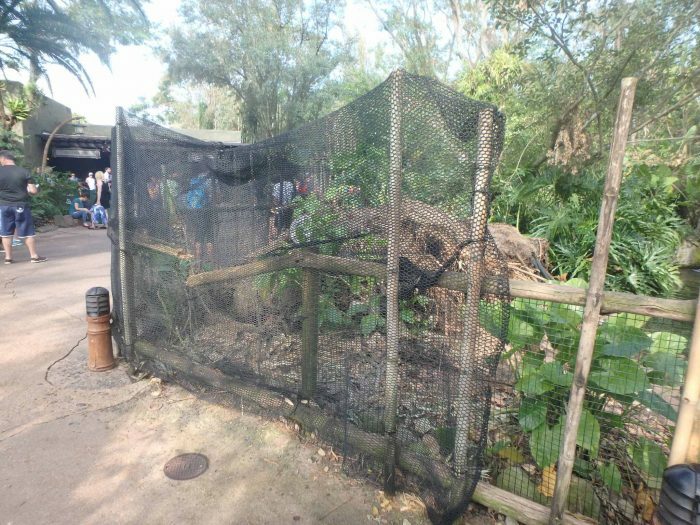 The Oasis area had a noticeable amount of damage to it, but the animals seemed to be fine. One thing I noticed was that because a lot of large trees had gone down and those standing had lost a lot of leaves, the area was much brighter than usual. Because the enclosures were brighter, more people seemed to be spending time looking at the animals. 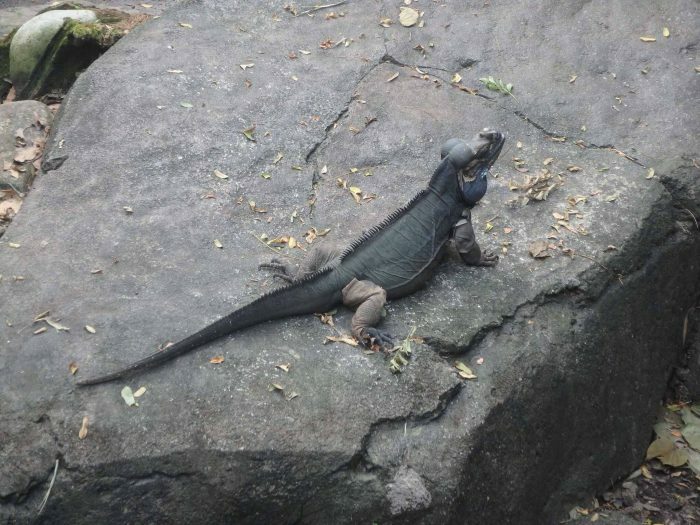 The iguana, in particular, had a crowd and was enjoying all the attention. Moving farther up around the Tree of Life area, we stopped by the flamingo enclosure. 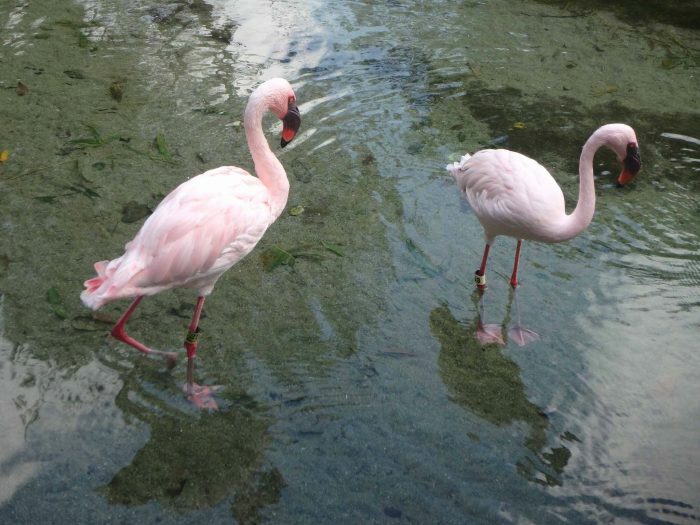 Flamingos are some of my favorite birds, so I had to say hi to them. 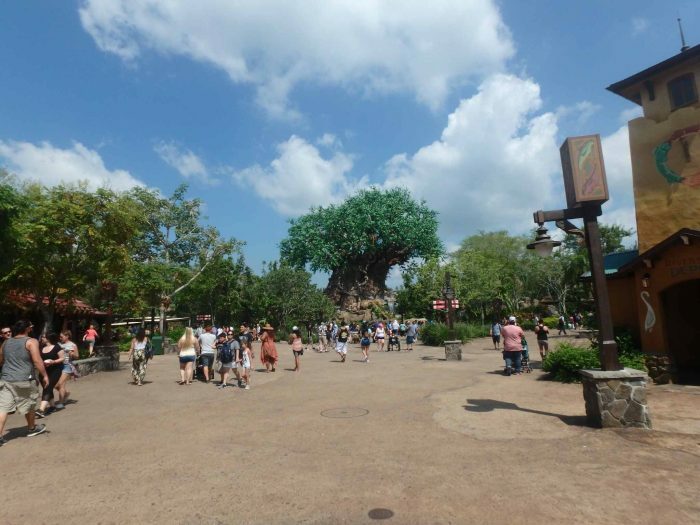 One of our favorite things to do at Animal Kingdom is to walk around the Tree of Life and look at the carved animals. Even though we do this often, it seems like we spot something new every time. 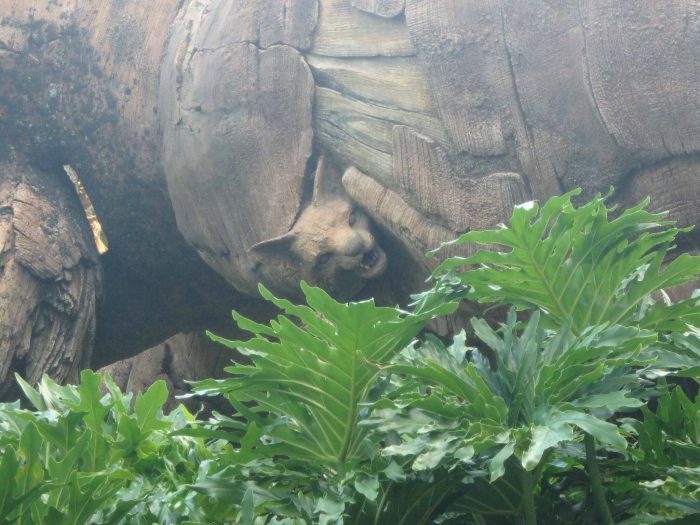 Do you have a favorite animal hidden in the tree? 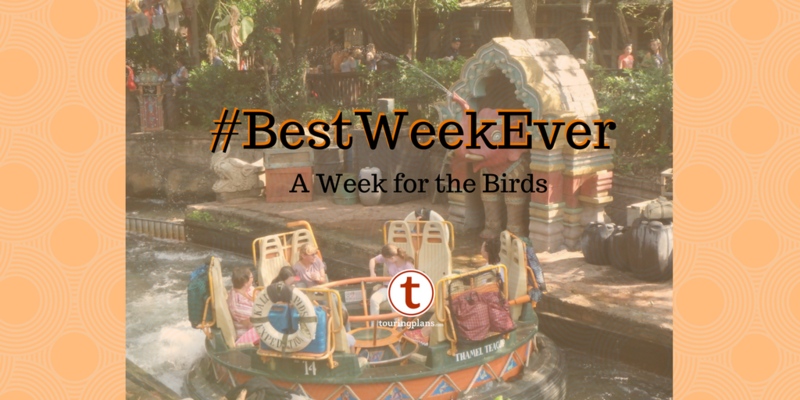 Because we were all still a bit sluggish, we decided to pick one animal trail to explore, and we decided on the trail in Asia. On the way over, I stopped to check on a rumor that I had heard. 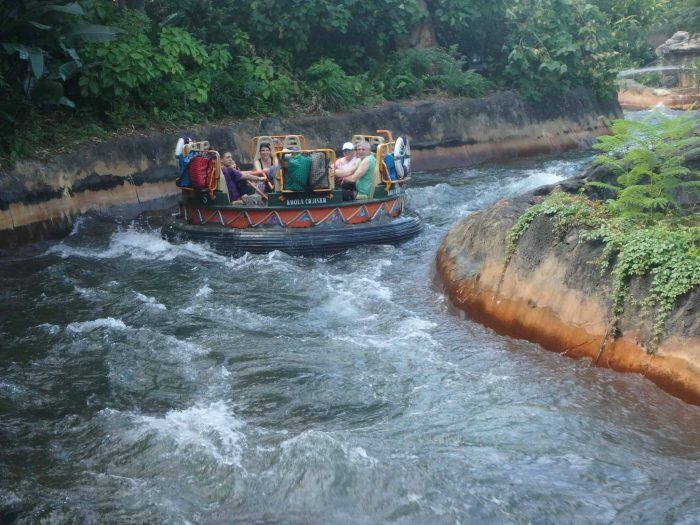 The rumor was making the rounds that Kali River Rapids had suffered horrible damage from the storm and would be “closed for a very, very long time.” I’m pleased to report that rumors of its damage were exaggerated and the ride was fully functional. 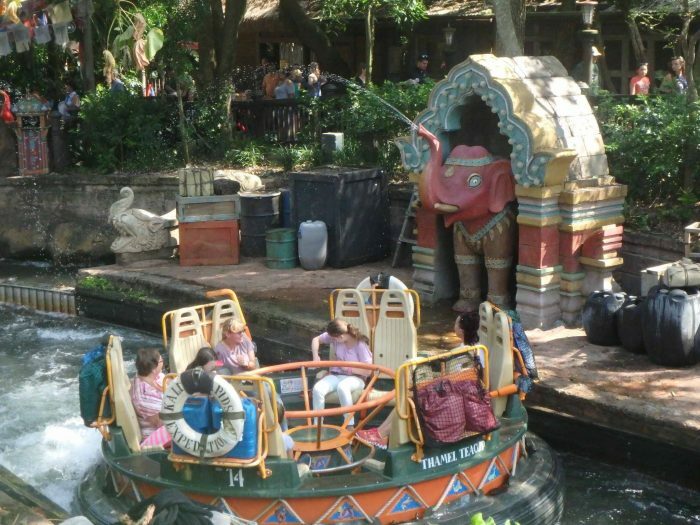 And so are the squirting elephants that allow you to get riders a little more wet on their way to the unload area. 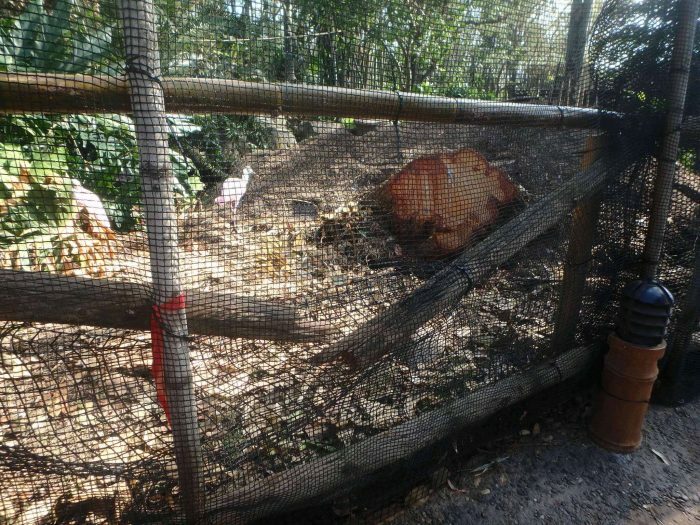 Back in the trail around Asia, most of the animal enclosures appeared okay. One enclosure where they had small hoofstock had many down trees and so no animals were in it. 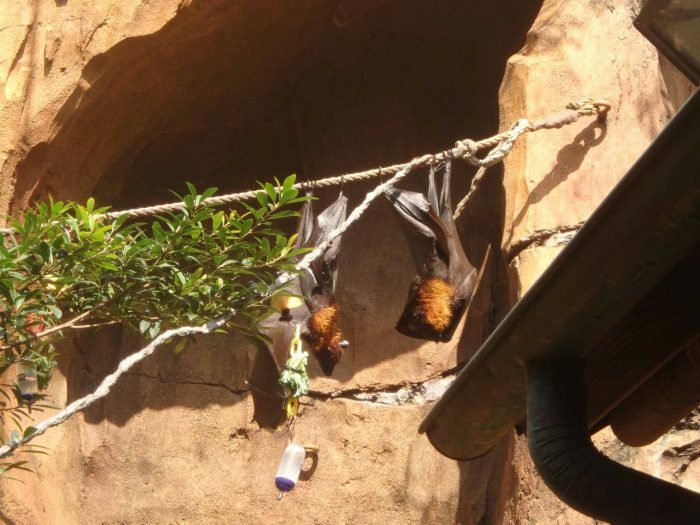 I was delighted to see that the beautiful fruit bats had survived just fine. Don’t you just love these critters? 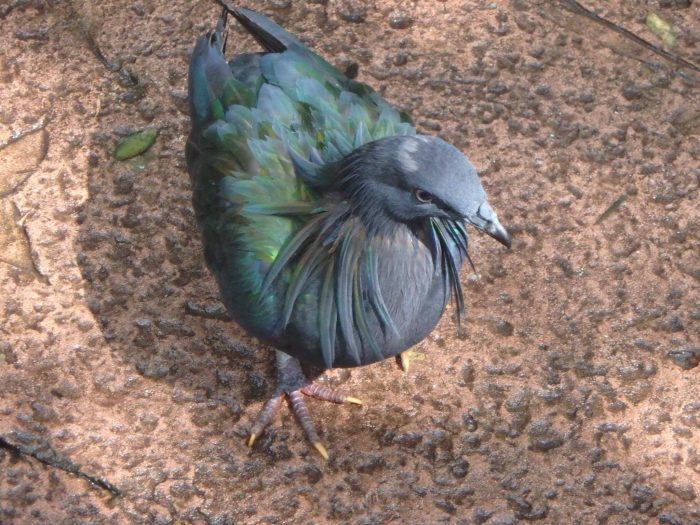 The aviary was the area that I had concerns, as birds don’t tend to do well with stress from storms. I was pleased to see them all doing so well. This little beauty spent a lot of time following us around. Isn’t he stylin’? 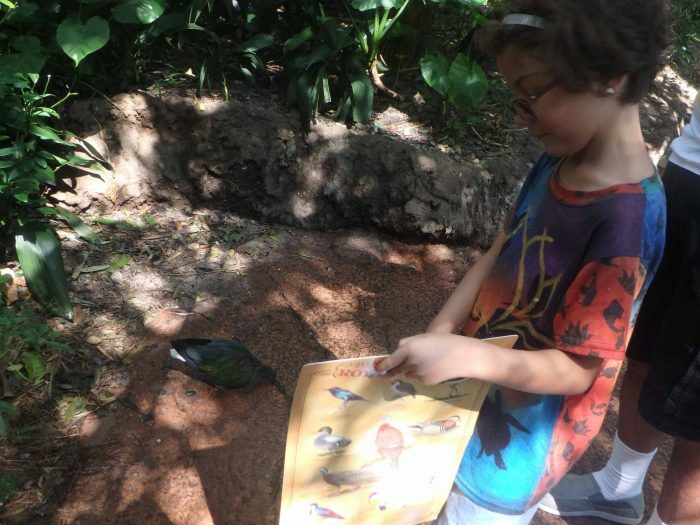 He even let our daughter show him his picture on the bird guide sheet. On our way out, we stopped by Starbucks to grab some drinks. 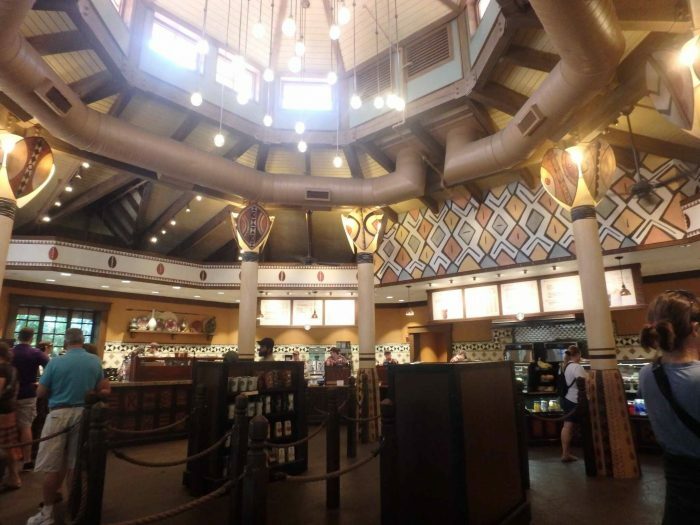 I know that having Starbucks in the theme parks was a source of much angst for many people, but I think that they are well received now that they are there. 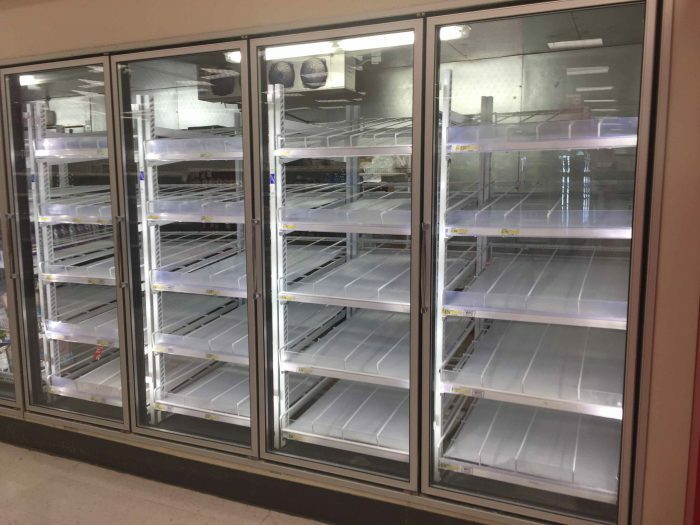 Plus, with the milk shortage around town, we figured this would be a good place to get our daughter a glass of milk for sure. I especially love the little touches like the bead drawings on the posts that look like coffee beans. It’s a nice little touch. 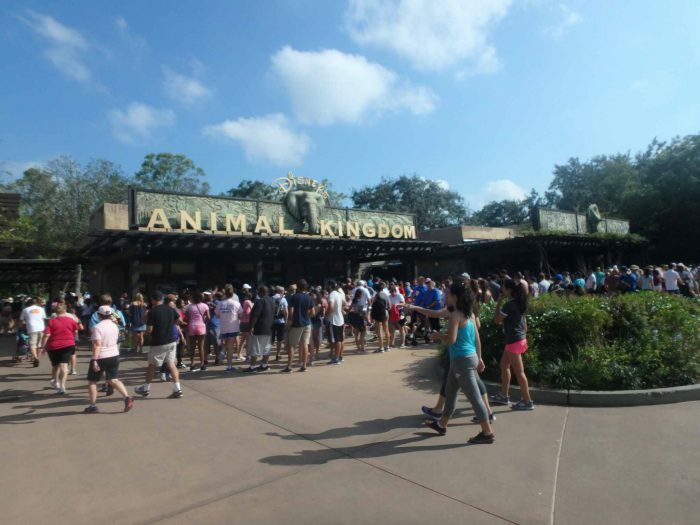 Overall, Animal Kingdom made it through the storm in relatively good shape. It will take time for the trees to grow back, but grow back they will. 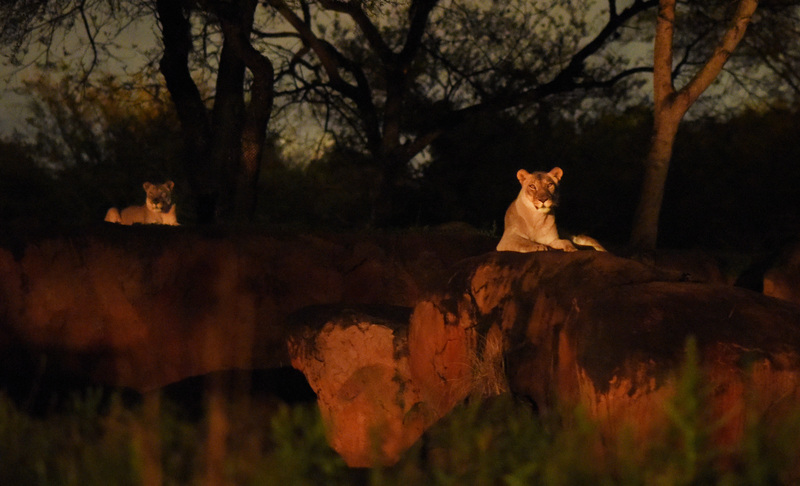 Ultimately, that’s the lesson woven into the very fabric of Animal Kingdom, though. No matter what, the circle of life goes on. And that brings us to the close of another Best Week Ever. Have any ideas about where you’d like us to travel to next? Let us know in the comments. And until then, keep having your Best Week Ever. Favorite animal in the tree? We like the Shark. Just fun to see the ocean live on land!